It’s also worth establishing exactly what your relationship with the mother country will be. And, if you’re going for good, will you retain your rights as a British citizen? And how might this affect your tax position where you end up living? 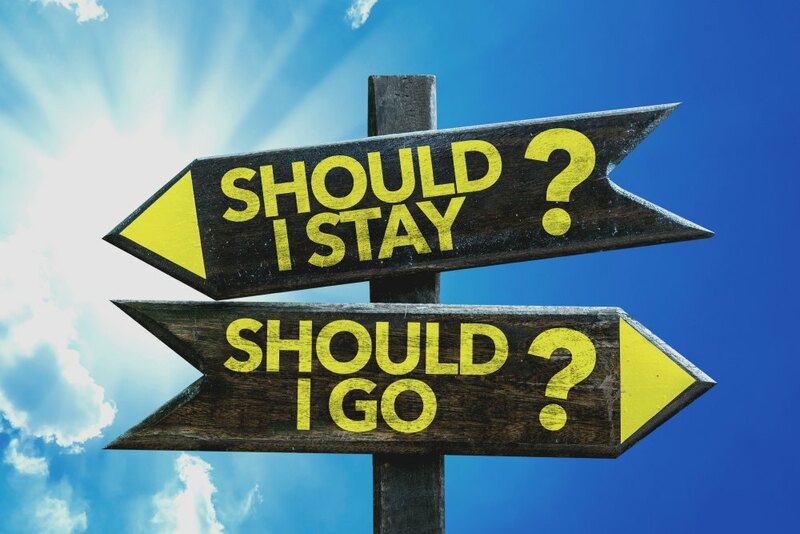 In making your move abroad it’s also worth considering and planning for any potential risks. Earnings, savings, buying a property overseas, and making investments in other currencies is something you’ll need to manage. Knowing what financial transactions pertain to which tax authority – UK and overseas – will be essential. And, although it may sound strange, planning for your eventual return before you leave could also pay dividends. Working out in advance how your stint abroad might affect your career in the future could boost your chances of better and more lucrative employment on your return. Assuming, of course you don’t go native and choose to stay overseas for good. 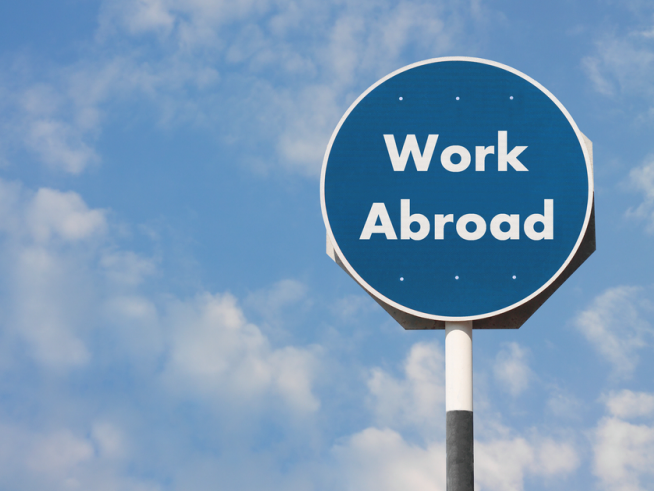 Working abroad offers the prospect of broadening personal horizons, learning new languages and honing professional skills, often in a new culture. While exciting and daunting in equal measure, it’s easy to get emotionally carried away by the lure of a foreign posting. However, it pays to enter into it with a clear head and to map out your ties to the UK before you leave. If you are moving overseas but within your existing company it’s worth considering how this might fit into your long term career plan. How does the pay compare, and, when you return, make sure that UK wages and house prices will afford you the same lifestyle at home as that enjoyed while overseas. These need not necessarily be deal breakers but they bear careful consideration. Planning ahead is essential. Will an overseas move boost your career? What sort of role might it equip you for when you return? And if you intend to move away permanently, maintaining some links back home could prove invaluable should things not work out quite as you’d hoped. If the attraction is the adventure and the experience rather than necessarily to further your career, then it’s important to consider the bigger picture. How might your overseas stint look on your CV? And if you learn new skills and/or languages, how marketable will they be in the future? The value of the package your employer is offering could also be more complicated than the headline salary alone. So-called tax-free destinations sometimes levy taxes albeit of a different kind and it’s worth checking with local expats exactly what the cost of living is likely to be. You may also need to establish whether and how you can get money out of your chosen destination and how the legal system differs when it comes to owning property. Establish what other perks are included in your overseas package. Flights home, for example, and do they cover you and your partner and dependants? Pension contributions, relocation costs (both when you leave the UK and when you return) also make a big difference to your take home pay, so make sure you build them into your budget. Depending on your destination, the terms of your employment and working practices may differ markedly from the UK, especially if you are joining a new business. Prepare for this and for unfamiliar working cultures and practices by sounding out colleagues or joining expat forums for insights on what to expect. Speaking to a colleague or professional contact working in your prospective destination could prove invaluable. Staying in touch with loved ones. Getting the emotional as well as the practical things in place will also help you get the most out of your overseas opportunity. Broadband internet connections have enabled us to keep in touch with loved ones by video, phone, email and text virtually anywhere in the world although it’s not quite the same as being there. So work out how often you plan to return to the UK and whether you’ll have enough leave? And it’s not just family you should plan to keep in touch with. By maintaining connections with UK colleagues and professional peers, even if you are living abroad, you’ll be kept up to speed and be in a position to exploit any potential opportunities should you decide to return to the UK. It might also be worth preparing a contingency plan in case things don’t work out quite as expected. Keep a weather eye on both inflation and interest rates and how these might affect your savings. The complications involved in retiring overseas make it extremely important to plan ahead and manage risk as effectively as possible. 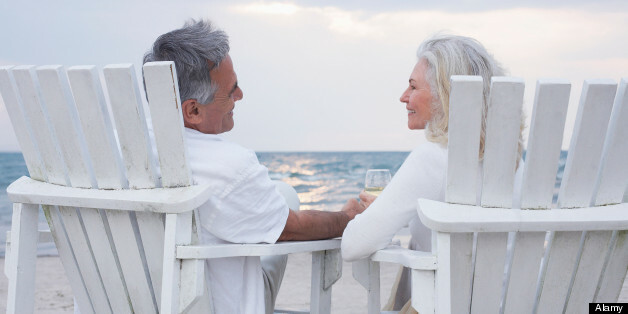 How you manage your financial affairs when you retire overseas, then, is not just about setting sensible budgets and establishing the realistic cost of living in your new home. As many retirees to the EU living off UK pensions discovered when the Euro strengthened against the pound at the end of the last decade, currency movements can make a big difference to the cost of your retirement and the standard of living you can expect. Build in some contingencies and talk to professional advisors about ways to mitigate currency risk. Benefitting from professional tax advice. It also makes sense to consult a tax professional to verify your tax position. If you are going to be receiving earned income after you retire or if you plan to realise any capital gains before you move abroad find out how you can minimise your tax bill. Remember that if you still have financial ties, including earnings in the UK you will probably need to file self-assessment tax returns in the UK. The more complex your tax and financial situation the more likely you will be to benefit from professional advice. Establishing exactly what will happen to your pension is likely to be your biggest financial consideration. Whether and how you are paid any UK state pension entitlements depends on which country you move to. You can get yearly increases to your pension if you are in a European Economic Area (EEA) country or a country with a special UK agreement. If you move to countries outside the EEA, payments may be frozen at the time of your departure so if you live for 20 years or more after retirement this could seriously affect the amount of money you will have to live on over time. Payments from company and private pension schemes should not be affected by your move, but it may be worth checking whether the payments can be made to an overseas bank account as some pensions firms only pay into UK bank accounts. Regardless of where you move to, you will need to inform the UK Pensions Service of your plans to move as well as HM Revenue & Customs’ National Insurance Contributions Office and your local tax office. Whether you need to pay tax on your pension will depend on whether you are classed as a non-UK resident or not and which country you decide to live in. Non-residents won’t pay UK tax if they live in a country with a double tax agreement with the UK. If your new home country does not have this kind of agreement in place you may have to pay tax twice. If you currently receive benefits of any kind from the UK such as winter fuel payments and some disability benefits, you may be able to continue receiving these as long as you are moving to another European Economic Area country. How to retain and manage UK property. Deciding whether to sell your home when you move abroad can be difficult. Selling the family home may be a wrench but in doing so you could be freeing up capital to buy in your new country of residence. You also avoid the responsibility of being a landlord and the associated worries that go with that, such as maintaining the property and finding good tenants. On the other hand, holding onto your home could be the least expensive option if you plan to return especially if you take into account the costs and taxes involved in buying and selling. It can also provide some insurance if your move overseas doesn’t go entirely as planned. If you do end up letting out your UK home while you live abroad there are a number of things you’ll have to do and be responsible for. Landlords now have a number of legal responsibilities such as ensuring the property complies with the relevant safety rules. There is also a requirement to carry out an annual gas safety check as well as registering your tenants’ deposit with the appropriate agencies. You’ll also have to remember to pay the bills the tenant doesn’t cover, including service charges and buildings insurance. It makes sense to set aside contingency funds for any unforeseen emergencies. Managing all this remotely is entirely possible but don’t underestimate the extra work involved. The internet and mobile phones will help but dealing with leaky roofs, broken boilers or redecoration quotes is made that much harder when you’re not in the country or even the same time zone. Knowing a trusted local handyman is a good idea if you are keen to manage the property yourself. A managing agent will typically charge around 10-15% of your rent to look after a property but in return you get the reassurance of properly drawn up lettings contracts, inventories if you’ve let the place furnished, all the red tape – including the gas safety certificate and deposit registration – taken care of, and someone to manage repairs if there are any emergencies. Crucially a good managing agent will vet prospective tenants carefully, making appropriate background checks. They should handle viewings, rent negotiations, and advise on what to charge. They can also regularly inspect your home on your behalf. Even if you plan to manage the property yourself, it can be worth asking a lettings agent to find you tenants. They may be able to source reliable professionals, as they advertise widely. Lettings agents typically charge a month’s fees plus one or two other small administrative charges to find you a tenant. You’ll also need to work out the tax situation of being an overseas landlord. If you are going to qualify as a non-UK resident you can apply to receive rent with no tax deducted. Ask your lettings agent about this scheme or read about the Non-Resident Landlords Scheme at the HMRC website. You’ll need to fill out form NRL6. How to transfer money to and from the UK. Finding a cheap way to transfer money is easier than ever as a host of new services have sprung up in the last few years. The market is changing all the time and new entrants have made it possible to send money with a few taps on your smartphone or tablet computer. But deciding which route to go down will very much depend on your circumstances. Your bank is a reliable and safe way to carry out overseas transactions. UK citizens are entitled to free, or low cost, medical treatment throughout the 27 countries of the EU as well as Iceland, Liechtenstein, Norway and Switzerland but only when temporarily visiting a European Union (EU) country. Hopefully this will still be in place after the Brexit. To claim for treatment you need to be issued with the free European Health Insurance Card (EHIC), formerly known as the E111 form. This scheme only covers you for the same level of treatment provided by the NHS. The UK also has agreements with other nations outside of Europe for reciprocal health cover (follow the NHS Choices link in the useful links section below for a full list), but the extent of cover varies significantly: some services may need to be paid for in part and the costs of repatriation to the UK are not covered. There are also time limits to how long the UK will offer this reciprocal care for, in some cases two and half years. Wherever you’re moving to, it pays to do a bit of homework on your destination. 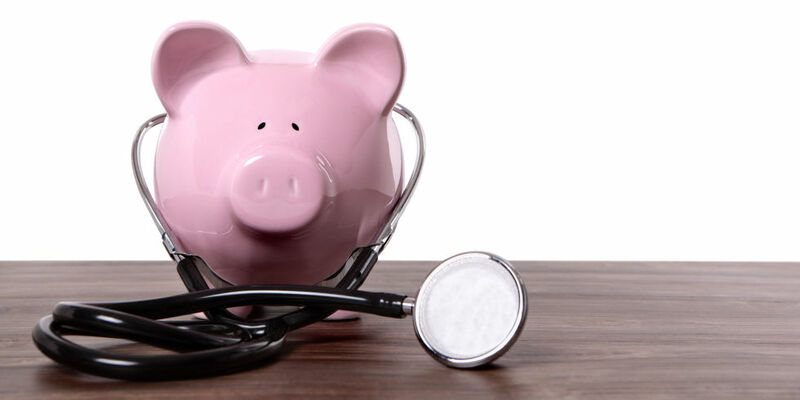 Even if the country you are heading to has some reciprocal arrangements, you may need to inform its health system of any pre-existing health conditions before you depart. If you have a condition that requires ongoing treatment you may need to request an S2 form (previously the E112) for care to be provided under the local system. This may be free at point of use (as in the NHS) or you may have to pay a percentage, for example 25%, however you may be able to get some, or all of this refunded through the NHS. It’s a good idea to consult your GP on health matters if you are in any doubt prior to leaving the UK. It’s also important to realise that the levels of care UK citizens are used to receiving from the NHS may not be matched by those in your destination country so you may want to consider what options you have for additional private cover and whether your employer might cover this on your behalf. If you’re not covered as part of your employment contract, free or subsidised healthcare provision in your new country should not be a substitute for taking out your own full travel insurance policy, which should cover you for unexpected costs, including medical emergency repatriation. It’s also worth noting that although you may already have travel insurance, for example through your bank or credit card account, this may only cover you for short trips. Check with your existing travel insurance provider. This means you’ll still need to pay for separate cover if you’re living overseas long term if this isn’t provided by your employer, or if you don’t intend on becoming a citizen of the nation you are moving to. A range of specialist providers offer tailored health and travel insurance policies for those staying overseas for long periods of time. Am I still a resident? Am I still a British citizen? Does it affect my tax status? Your residency status can have an important bearing on what tax you pay. As a non-UK resident you are exempt from UK income tax on overseas income. You can also avoid UK capital gains tax. How do you qualify as a non-resident? The UK will treat you as a non-resident from the day after you leave the UK if you can show you left the UK to go abroad permanently, or your absence and full-time work abroad lasts at least the duration of the tax year. If you plan to return periodically, you need to demonstrate that your visits to the UK are less than 183 days in any one tax year and average less than 91 days a tax year over a maximum of four consecutive years. Although this seems clear, there are a number of grey areas which UK courts and tax tribunals have been wrestling with in recent months. The HMRC is proposing a new Statutory Residence Test to come into force in April 2012 to clarify these. If you are in any doubt as to what your status is or will be, it’s best to seek expert legal and tax advice. If you are not a UK resident, you will still pay tax on UK income, for example from UK investments or property. However, if you live in a country with a double tax agreement with the UK (see Useful links), you should not have to pay UK tax. If your new home country does not have this kind of agreement in place you risk having to pay tax twice. It pays to consult your local HMRC tax office on this as you may get tax relief under UK domestic law. A tax advisor can help you work out the best approach to minimise your tax bill. If you plan to make your move to your new country a permanent one you might consider taking up citizenship. The UK places no restriction on allowing you to be a dual citizen but your adopted country may do so. Many nations don’t recognise dual nationality and regard new citizens as having lost their previous citizenship. They may even require them to formerly renounce their UK citizenship. This would mean losing your rights, for example, to UK consular services in your new home country.